Jane Ham, Head of Volunteer and Schools Engagement at the Project Trust shares with us more about their work, the impact it’s having across the globe and how BB Companies and young people can get involved. What is the Project Trust? 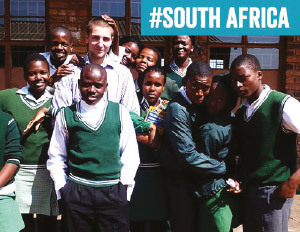 The Project Trust has been organising long term volunteering placements in Africa, Asia, Oceania, Latin America and the Caribbean since 1967, making us the most experienced educational charity specialising in overseas volunteering for school-leavers. From our home on the Hebridean Isle of Coll, we select young people from across the UK, and wider Europe, for 8 -12 month overseas teaching, youth work and outward bound projects. In the last 50 years, Project Trust has provided nearly 8000 young people with an incredible and unique educational experience, allowing them to develop a range of skills as well as gaining valuable work and employability experience. Project Trust’s work allows young people to become more resilient as well as more aware of themselves and their place in the world. Volunteers return home with broadened horizons, increased maturity and an impressive range of transferable skills. In addition, all Project Trust Volunteers have the opportunity to gain an accredited Qualification in International Volunteering as formal recognition of their learning. 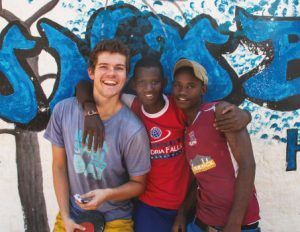 Project Trust offers the adventure of a lifetime for young people who want to challenge themselves, learn about the world and be a positive force within it. For each young person who we work with, their journey is one of personal discovery, growth and development. The first part of that journey is a five-day residential Selection Course. Selection provides interested young people with the opportunity to learn more about Project Trust and for Project Trust to get to know them. During Selection, our young people will have the opportunity to engage in a range of activities with a diverse group of young people from across the UK and beyond. Project Trust has developed a skills framework which allows our Volunteers to track their personal development throughout their journey, wherever they are in the world. Bana ba Metsi is a project situated on the banks of the Okavango River in Botswana. The challenging but incredibly rewarding work sees male Volunteers engage in remedial teaching with youth at risk. The Volunteers are practical, with a positive mindset that perseveres with determination. They are adaptable and use their initiative to ensure that the boys in their care are supported and encouraged in their achievements. The Volunteers’ work isn’t solely focussed on academia; by coaching sports teams and assisting in building projects, the Volunteers play a huge role in developing the social skills of youths who have previously experienced little or no guidance in this area. Based out of Willow Point, Sedgefield, in the Western Cape, Volunteers who have a love of outdoor life have the opportunity to work at Outdoor Education camps all over South Africa. They quickly develop their communication and collaboration skills by supporting instructors with walking, climbing, kayaking, abseiling and camping. In Guyana, there is a strong need for maths, science and English teachers, meaning that Project Trust Volunteers are a valuable resource to schools which would otherwise be understaffed. In the classroom, volunteers motivate, influence and lead their students, at the same time instilling values such as respect and responsibility. 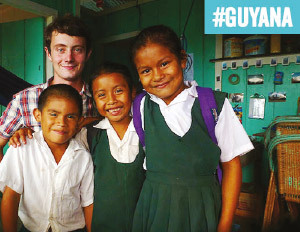 Life in Guyana is very much focused on the outdoors with Volunteers getting involved in activities such as fishing, farming cattle and trekking. There are a number of ways your Company can get involved and support Project Trust. The Project Trust experience doesn’t end when our Volunteers return home. Through our Global Citizenship Programme, Returned Volunteers have the opportunity to share their experiences and inspire the next generation to learn about, and understand different global issues, rights and many more aspects of the world around them. Returned Volunteers and Project Trust staff visit groups across the UK presenting on the benefits of taking a structured gap-year after school. These presentations have been described as highly engaging and informative, providing more information on the different directions young people can take when they finish school, as well as the opportunities available with Project Trust. Global Citizenship workshops (contact jordan.wilson@projecttrust.org.uk) and gap-year presentations (contact jane.ham@projecttrust.org.uk) can be scheduled throughout the year and Project Trust would be delighted to work with your BB company and come along to visit you.